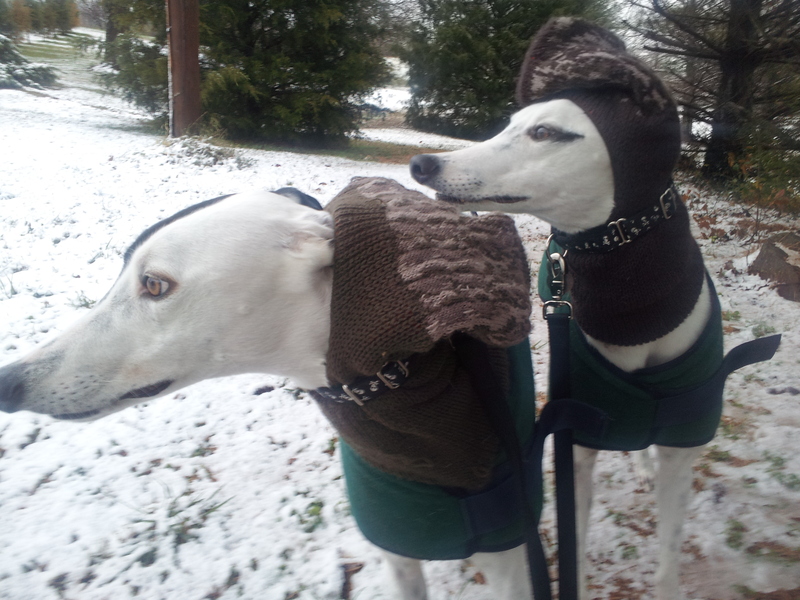 We just had our first snow of the year here in Southern Illinois, nothing really to brag about, but it was something our two greyhounds who were rescued from a track in Florida have never experienced. 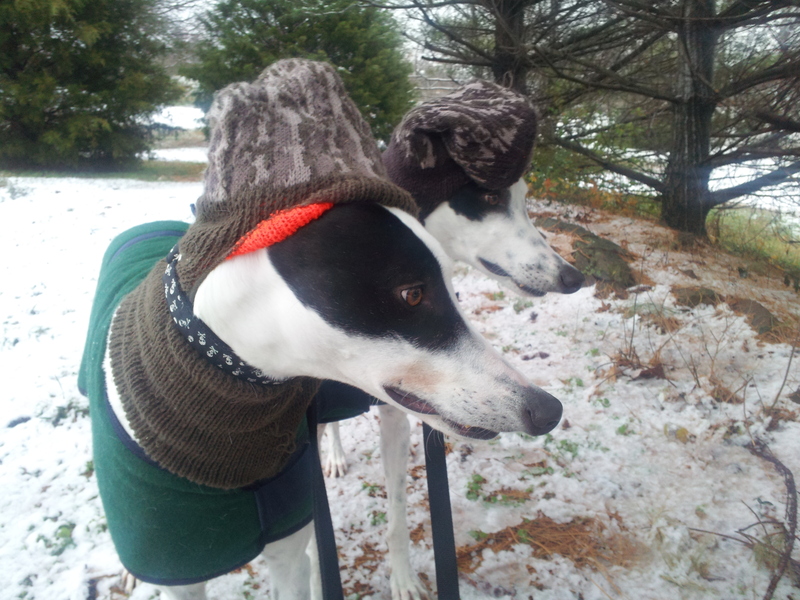 We were fortunate and were able to adopt our “boys” a little before their second birthday, so they were not like some greyhounds that are not rescued/adopted until later in life and therefore are deprived of such things for a much greater period of time. 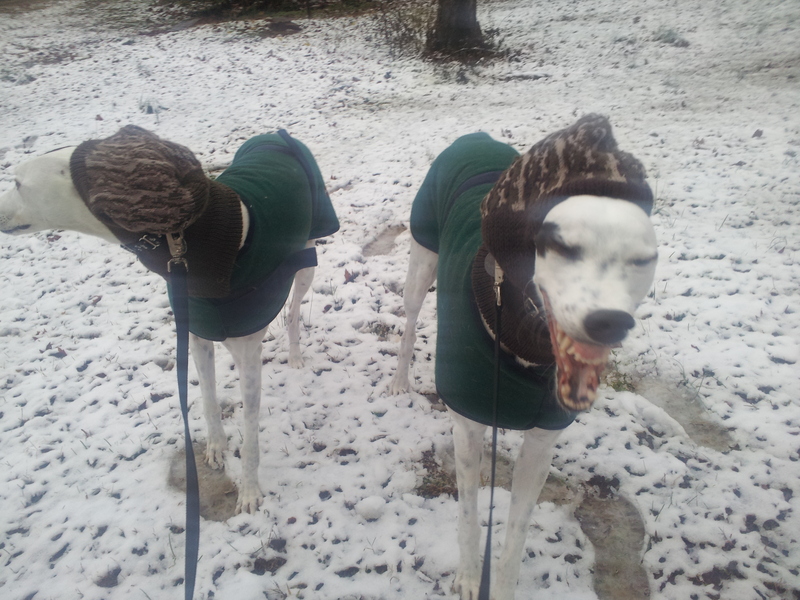 I didn’t know what to expect when I opened the door to take them out. 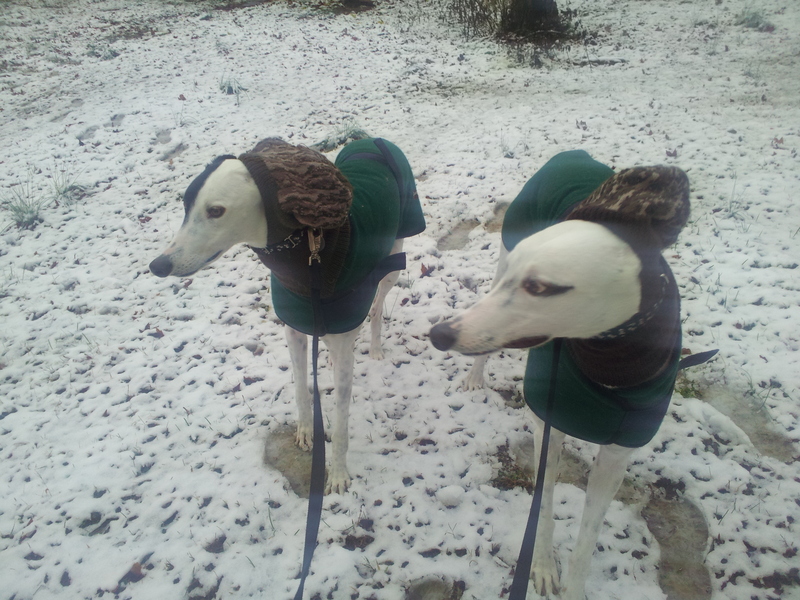 They were hesitant and stuck their noses up in the air sniffing, then looked down to the deck covered in about an inch of snow and sniffed some more, but otherwise just stood there. 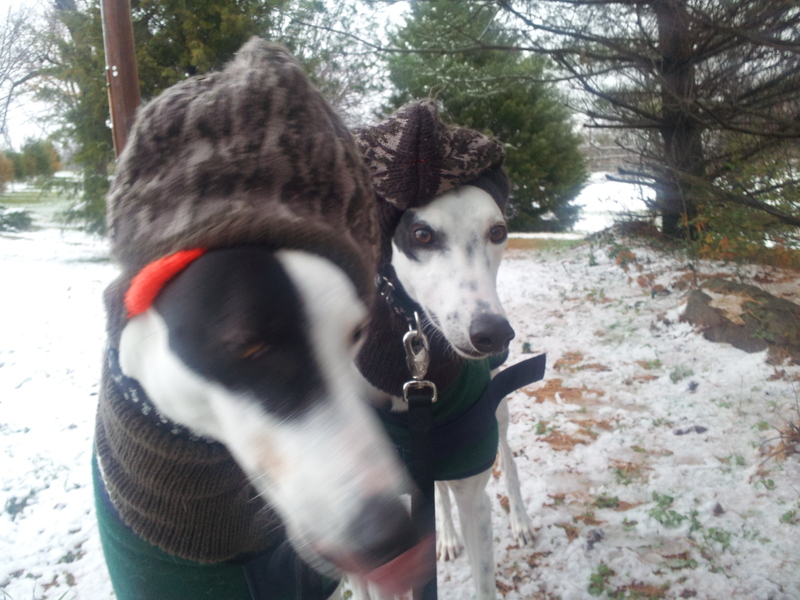 Before my wife could yell at me (something about trying to heat the whole neighborhood) I coaxed them out the door. 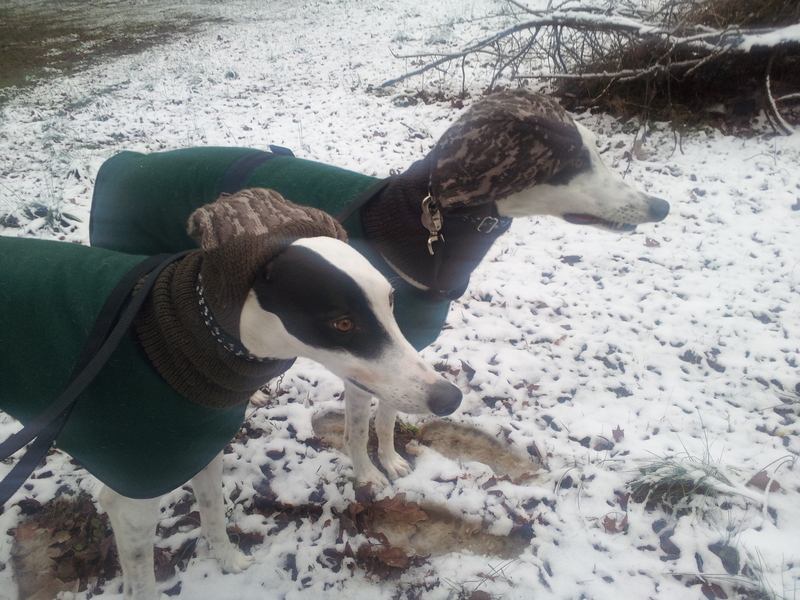 They were just standing there, side by side in the door way, it was Vitali who first stuck out his paw, when it touched the snow, he quickly drew it back, both dogs then did this a couple of times, then came on out and from that point on, didn’t really have much of a reaction to the weather. Hey Dad, I like this stuff! ← Is Your Dog Food Killing Your Pet?